Early days in a new business are difficult. In order to succeed and grow the business it is important that the primary as well as the supporting activities of business is taken good care of. There are numeral piece that have to fit together — mainly in the beginning for it to work progressively. The primary tasks are directly related to create value like sales, service, and business development etc. And supporting activities are indirectly related to create value like accounting, finance, administrative activities etc. Startups have short set up and high return expectations. In order to ease the repression, many startup companies look for outsourcing, and hire a third party provider to handle some supporting activities of the business. To consider outsourcing as a possible opportunity, let us first evaluate the positive and negative impacts. Outsourcing frees up management to focus on the part of the business that distinguish you from the competitors, while you are sure that the basic jobs are all still functioning properly. Outsourcing service provider has the expertise and knowledge required to do accounting. Financial reports, accounts payable, accounts receivable functions, as well as tax services are tasks that you may be concerned about , but they are a piece of cake when it is outsourced. Outsourcing also gives you the benefit of working with other trusted business partner. Outsource companies have broad knowledge working with early phase start-ups. This knowledge and experience can be helpful for your company at the time of raising funds, financial planning, structuring deals, financial reporting etc. Burn rate is nothing but how much capital you have been spending and for how long it can be spent at that rate for you to stay in business. It is very important to know, particularly if you are a startup company with a long lead time before you will start generating revenue from sales. The most important reason to outsource accounting is that you and your employees can focus on building your product, creating partnerships, sales, business development etc. In other words, you have core business vs. non-core business. In the early stages, chiefly you need to focus on your core business, without worrying about other elements. And outsourcing helps you to do that. When you start a business and it begins to grow, hiring a company accountant or a financial advisor can be expensive. Though, this is not the case for outsourcing services, as they have many options and provide affordable monthly services, at one fourth cost of hiring a full time employee. 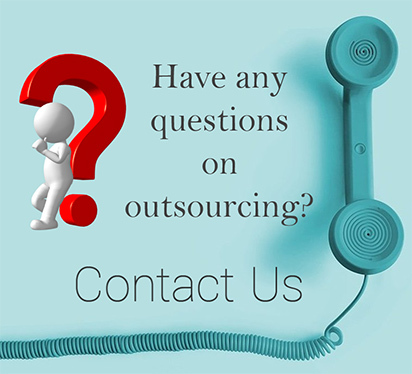 Outsourcing reduces the cost and helps you to get the job done at a cheaper cost. It is estimated by outsourcing the work you can save about 40%- 60% on the existing cost. There is a change in responsibility when you decide to outsource accounting for your startup, but this doesn’t mean that control is lost. 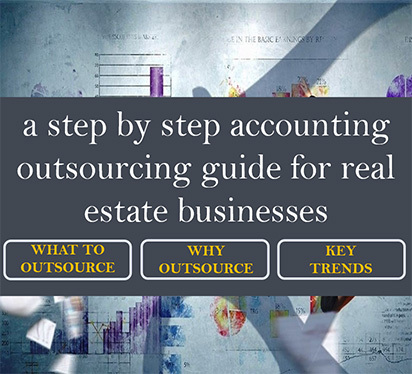 But it can be said as many firms don’t realize that they manage an outsourcing service provider more strictly than their in-house personnel would be managed. Many small companies that outsource their supporting activities, progress in the value chain. Since the companies have been focusing their time to create value and not supporting it. Outsourcing is a great solution and it just makes sense. It is wiser to get accounting support early on other than to get the messy finances cleaned later on. It’s truly best to put financial systems and processes in place that will provide a strong foundation for the startup and support its financial health.